Ana and Dave Roberson had many years of industry experience in crane operations and services. Yet, they were new to business development activities, and knew they needed professional assistance in taking their business to the next level. The Robersons became members of the Hispanic Metropolitan Chamber in 2005, and are very pleased with their working relationship. “They helped us put together a really great business plan, which was essential in getting our loans,” Ana said. Since its inception in 1994, the Hispanic Metropolitan Chamber has been serving businesses large and small – at all stages of development – across the Portland metro area and throughout the state. In 2003, the chamber began offering technical assistance and support to area businesses. Oregon has one of the fastest-growing Latino communities nationwide. Between 2002 to the present, the Latino community in Oregon increased 144 percent statewide. Under Castillo’s direction and oversight, the chamber now serves more than 660 members. It is the largest Hispanic chamber in the Pacific Northwest and one of the largest business chambers in the state. Annabelle Carlos and Jonath Colon serve as business development coordinators for the Hispanic Metropolitan Chamber. Jonath Colón and Annabelle Carlos serve as business development coordinators for the chamber. Together, they help business clients address a variety of operational and technical issues. In the last year alone, chamber staff helped address issues for more than 300 firms. “We work with businesses from various industries, and assist with everything from setting up accounting systems to helping them obtain certification,” said Colón. The two also host member workshops and classes, covering a large array of business development issues. “The classes are intended to provide a broad overview of the topic. In many cases, members who want more information or assistance schedule one-on-one sessions with our staff, so we can help address individual concerns,” said Carlos. At its annual membership luncheon, the chamber honored successful local businesses that exemplify entrepreneurial drive. The chamber provided assistance for Aquiles Navarro, founder of Professional Affordable Painting, in developing marketing materials, securing bonding, estimating and bidding on projects, as well as financial management. 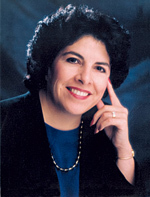 The chamber also was instrumental in the growth of Professional Minority Group, led by Rosa Martinez. The firm is the only certified Latina-owned and operated asbestos abatement firm in the region. Chamber staff assisted with the certification process, marketing strategies and identifying contract opportunities. In an effort to enhance access to capital among Latino entrepreneurs across the state, the chamber also is developing a revolving loan fund that will provide micro-loans for businesses that are too young to secure the backing of a commercial lender. Typically, to obtain a small business loan, companies have to be profitable for at least two years. “We’ll be offering loans in the amount of $500 to $5,000 through this program, which is intended to help startup firms get the financing they need,” Castillo said. To promote education among Latino college and high school students, the chamber has awarded almost $1 million in scholarships. Last May, the chamber awarded more than $127,000 to outstanding students in the region. “Our scholarship fund increased about 38 percent from last year. We’re grateful for the support of our members for supporting our goal to grow our scholarship program,” Castillo said. The Hispanic Metropolitan Chamber also is proud to announce two upcoming programs and events intended to boost the visibility of Latino business leaders and entrepreneurs. Latino Leadership Development Program. The chamber is proud to announce assembly of the first batch of participants for its Latino Leadership Development Program. “Our goal is to develop the executive leadership capabilities of Latinos who already are in management positions. Through the program, we want to provide leadership development opportunities for Latinos to provide an extra boost for the next stage of their careers,” said Castillo. Program instructors hail from both the public and private sectors, including the University of Oregon MBA program; the Oregon State University MBA program; Port of Portland; and more. Students attend class every Friday. Employment, Contracting and Promotional Trade Show. On July 25, 2006, the chamber will host its fourth annual Employment, Contracting and Promotional Trade Show at the Oregon Convention Center. The event, scheduled from 1 to 5 p.m., targets Latino business owners who are interested in learning about contract opportunities with both private and public entities. Local businesses interested in connecting with potential buyers from various industries will have the opportunity to market their products and services. In addition, human resource recruiters from public and private firms will be on hand to share information about employment or contracting opportunities. Last year, attendees included the City of Portland, Columbia Sportswear, the Oregon Council for Hispanic Advancement, Bonneville Power Administration, Kaiser Permanente, Hoffman Construction, and more. For more information about the Hispanic Metropolitan Chamber, contact 503-222-0280 or visit www.hmccoregon.com.